About four minutes into doing an Elf on a Shelf idea, our Elf Don was touched. And not just touched- poor Don was assaulted by a curious one year old and completely manhandled. Which normally wouldn’t be a big deal, but ELVES LOSE THEIR MAGIC WHEN TOUCHED. Oh my effing word. The world is going to end. Our Elf won’t come back and visit us again! Don won’t find his way to Santa! No worries, this momma’s got some tricks up her sleeve. 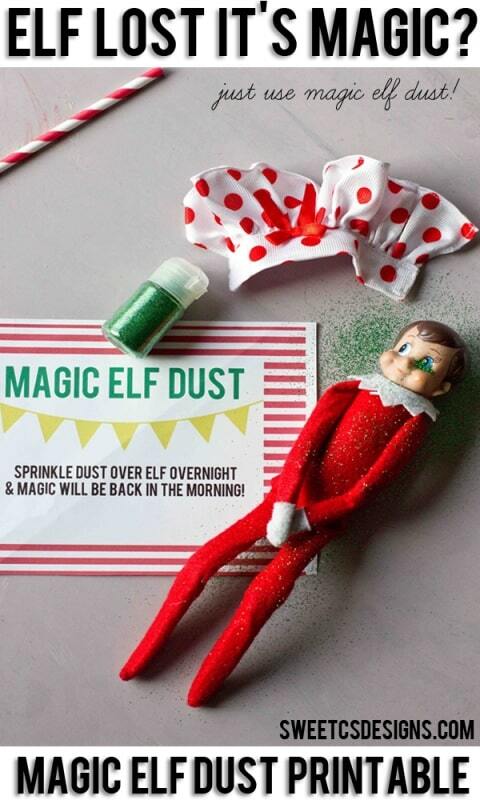 With my Elf on a Shelf Magic Dust Printable, Don will totes be back to the North Pole and up to his shenanigans in the morning! If your kid is sad and depressed about their Elf losing it’s magic, you can quickly “restore” the Elf. I set out our Elf with magic dust during the Welcome Hot Cocoa Party as part of my little Elf toolkit- with the Welcome form (where we wrote Don’s name and our address so Don wouldn’t get lost on his way back from Santa), as well as a countdown to Christmas. I just used a small bottle of glitter I had to be the “magic dust”. It was already in a cute little bottle, so I just kept it there. To restore Don’s magic, we set him out with his accessories (the Elf was touched because Finn wanted him to not wear a skirt, but Bridget wanted the skirt on- poor Don was manhandled and shoved in the tussle). We all said sorry to Don for making him lose his magic and sprinkled magic dust all over Don like the card told us to. We were so glad Santa sent us the magic dust and instructions just in case something happened! 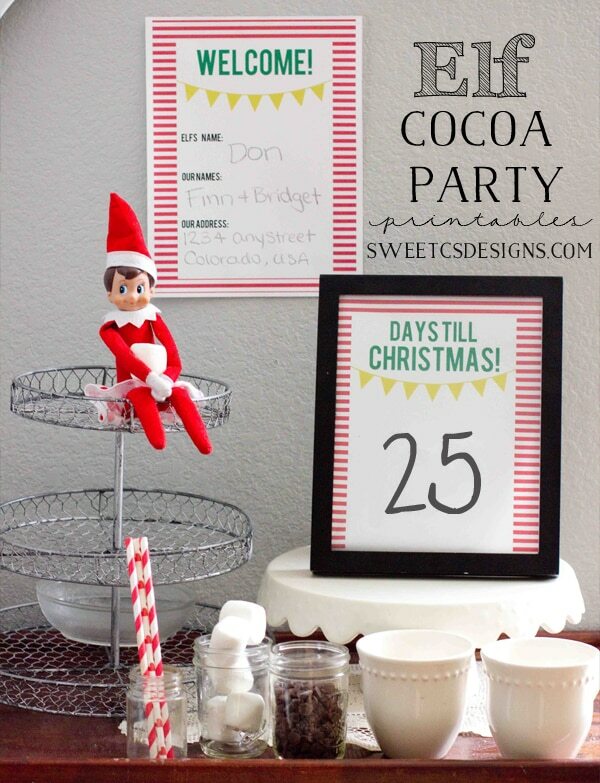 You can find the Cocoa Party and printables here. 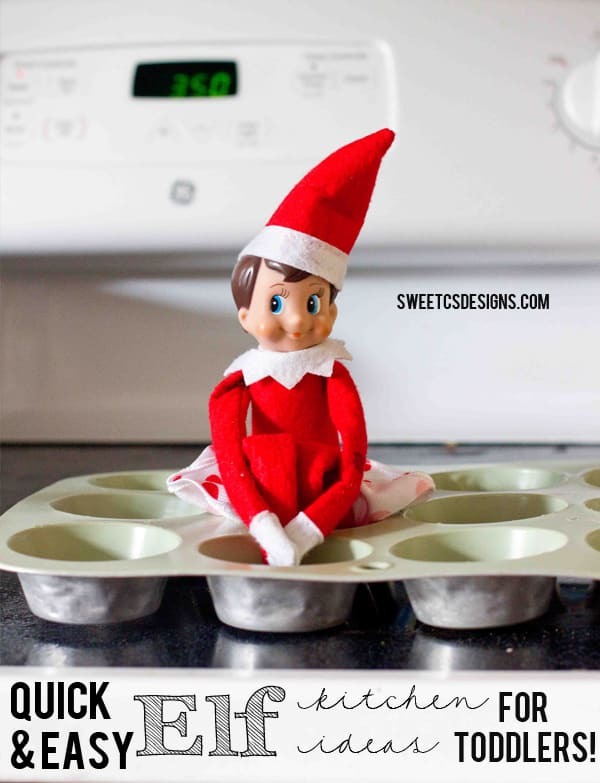 You can also see some of the quick and easy ideas I put together for our Elf Don in our kitchen here. This really worked one time but then it didn’t anymore I really want you to please do some more please?? Ahhh so darling! I can’t wait to start doing elf on shelf once our little guy is old enough!